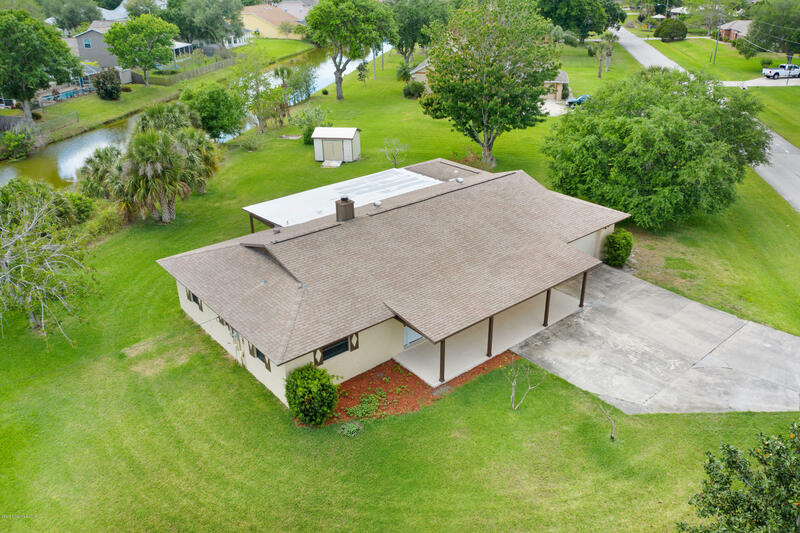 Unique country home located on over half an acre in Rockledge. Open the front door to a complete interior remodel. Stainless steel appliances, granite and 42'' cabinets in the kitchen. Split floor plan with a large master bedroom, walk in closet and office/nursery room. New wood look tile throughout the home. Spacious backyard located on a canal. Close to 95.